It is going to be a December to remember as the Super 8 tournament in Nationwide League One ( NLO) has been slated to kick off on December 3 and end on December 9. This was disclosed to the media in Abuja on Tuesday by Shola Ogunnowo, the Chief Operating Officer of the NLO , as he expressed optimism that the tournament will be a great spectacle of football at the grassroot league of Nigeria Football and he affirmed that the eight participating teams are eagerly looking forward to when hostilities will begin at the Super 8. "We now have the date for NLO Super 8 and it will take place from the 4th - 9th December , 2017 in Katsina State. 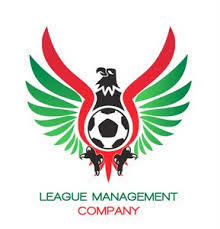 The secretariat of the NLO have also concluded plans to have the Annual General Meeting (AGM) in the state too . We hope that the tournament will live up to expectations as stakeholders and fans of NLO are excited with the prospect of watching the best legs in the Nationwide League when hostilities begins in the tournament and all the teams have prepared very well," Ogunnowo said. He further said that the arrival is on the 4th December and the draw of the tournament will be held in the evening before action on the field will commence the following day.
" Arrival of the teams and officials is on the 4th . The draw for the tournament will be on the evening same day and the tournament itself will then start properly on the 5th leading to the final game , which will be on the 9th December and as i said earlier , all the teams have prepared and i am hoping that there will be no dull moment at the NLO Super 8." the astute football administrator said. The NLO Super 8 is played between teams that emerged champions in their respective group and playoff leading to promotion to the Nigeria National League (NNL) and the essence is to determine the overall winners of the Nationwide League One for the 2017 season. The eight participating teams are Aklosendi International Football club of Lafia, NAF Rockets of Abuja, Delta Stars of Ugheli, J. Atete Football Club also of Delta State, Dynamite Force of Benin, Spartans FC of Agege, Gidano FC of Kano State and Katsina Feeders , the hosts of the tournament.